I’m using this month’s Art to Inspiration post for a little bit of my own storytelling purposes. Bear with me Art to Inspiration friends! When I launched my blog last week, Kristin commented “you can never have enough stars!” I realized that I kinda have this whole star motif going on here, but I never really explained the backstory behind it. So here it is! My mom has a knack for coming up with little poems. Ever since I can remember, we’ve had our poem. She used to say it to me every night before I went to bed. My brothers had their own poems, and sometimes my mom would even make up poems for my friends who were sleeping over. Until I went to college, we pretty much said it every night, even when it meant that I was the one tucking her in. The first line of the poem is “I love you more than the moon and the stars.” I won’t go into the rest, because that’s the most important part. I mean, what’s bigger than that? I’ve always had a special thing for celestial themes- the first time I decorated my room in elementary school, there were stars. The star room was always my favorite room in the Pottery Barn Kids catalogue (I know, I was a freak.) The moon and the stars are part of me. And when I went to rebrand and redo my blog, well- it just made sense to go with the stars. But I think it all pretty much goes back to the poem. I love the Pottery Barn Kids catalogue. reason #4595739 I need to wait until I’m financially stable to have kids… haha! haha seriously! That stuff is enough to make you go broke. And you should, it’s a lot of fun! I love this, and thank you for sharing the story behind the stars. It always means so much more to know the story than to just think you’re one of those girls who likes stars. ;-) What a sweet thing your mom did you all of you kids with those poems. I love that a photo by my friend Lani Trock was used this week! Small world! Oh I love the stars motif you have going on! I used to have a whole “twinkle twinkle little star” theme in my room. Glow in the dark stars, clouds and stars wall paper, starry comforter and hanging pink star lights all over the place. This is so special, Kate! I love this story. I also was totally into the celestial theme as a kid — my room was decorated in stars and moons until I went away to university! What a sweet story that fueled the inspiration for your blog! And, can we talk about that wedding dress? Gosh. I know, right?! It’s amazing. It’s from a few years ago, but I just had to stick it in there because it’s one of my all-time faves. so precious! 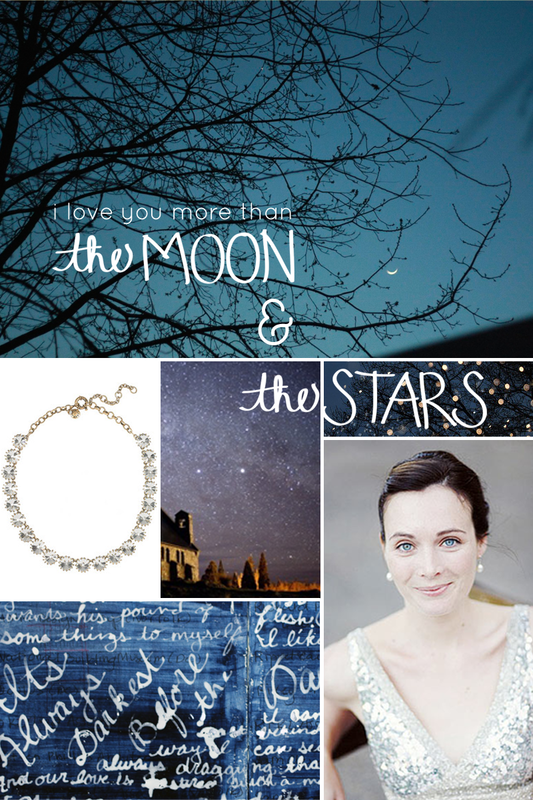 Now I will see those stars on your blog so differently :) I love this! oh my goodness…so lovely. I want to do this with my babies…beautiful inspiration. What a great memory to have, thanks for sharing. Awww this is so sweet! I have a little saying that I say to my oldest daughter when I tuck her in at night and this post made me want to make up a completely new and equally special one for my younger daughter.